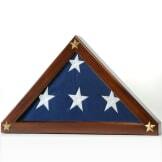 Thank Veterans and their families for the sacrifices they made and the freedom we enjoy. 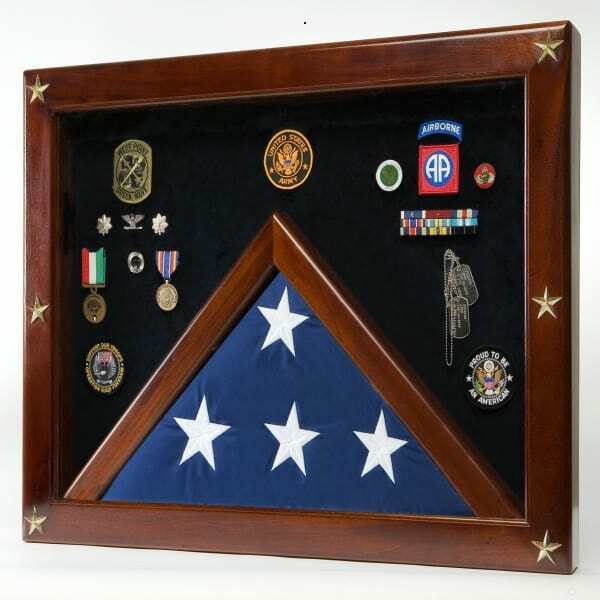 The Federal Shadow Box for Memorial Flag will pay a loving tribute to the memory of a service member or law enforcement officer. 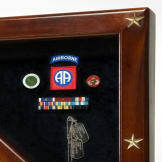 With its elegantly crafted brass stars, this piece is sure to become a treasured keepsake. 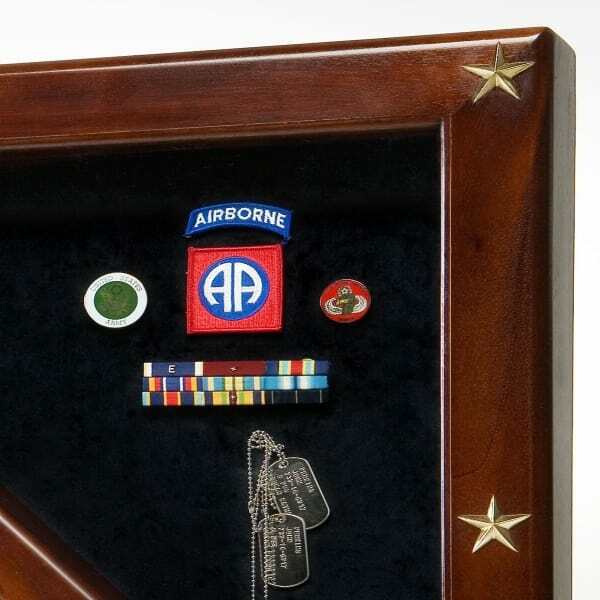 The frame is made of solid mahogany wood with no laminates, veneers, or particle boards. The larger display area is easily accessible through the back for easy placement of the items. The plexiglas panels protect against dust and the harmful effects of UV light. — Can fit on a desk, shelf, or mantelpiece.